Donation from Chelsfield Village Fair. 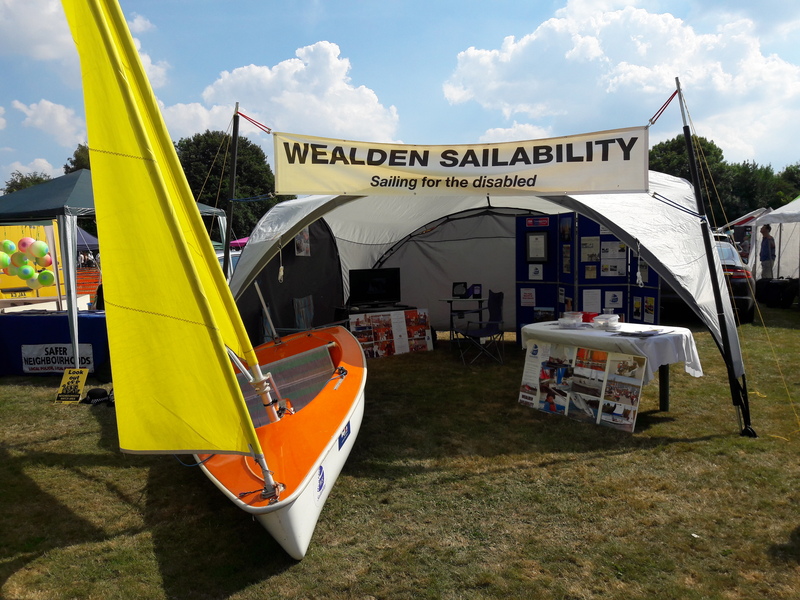 Earlier in the summer Wealden Sailability manned a stall at the Chelsfield Village Fair. We could hardly not do, seeing as the Fair committee had selected us as their nominated charity for this year…a great honour..!! 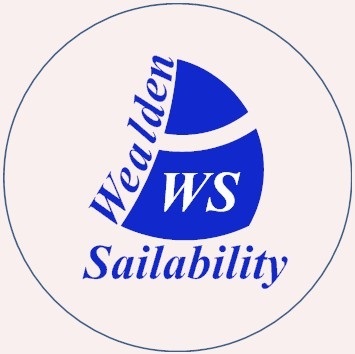 We were recently informed that despite the fact that a certain football match on the same day significantly reduced the footfall at the fair this summer, the committee have managed to donate the princely sum of £1,225 to Wealden…absolutely fantastic..!! Here’s a photo of the stand with one of our Hansa 303’s set at a jaunty angle…expertly setup and manned by several willing volunteers from Wealden (including Nigel & Maria Lamb, Meg Warren & Mike Coleman) and ably supported throughout the day by several other Wealden volunteers..
Looks very professional and of course it is. Well done to all involved and a big thank you to Chelsfield Fair for choosing us as their Charity. Thank you Nigel and Maria for nominating us., that was really generous of you. It is really lovely to get support from such diverse organisations and it shows how important our charity is in the minds of the general public. We support and help so many disabled people from such a large geographical area to sail so it is wonderful that its name and the help ws provide, is so visible and appreciated by so many. Thanks too for the WS members that gave their time in organising, delivering the boat and manning the stand on the day. Hi everyone, I’ve just seen this post. A big thank you to Maria and Nigel for nominating us and to everyone who helped out on the day and I’m sure, a big thank you to everyone on behalf of Wealden participants. Without you all, where would we be?